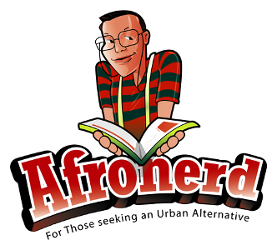 Check Out The Comic Shoppe's Daryll B. and His Latest Comic Book Reviews - Afronerd: The Blerd Revolution Has Begun! Avengers/X-Men Axis #5 & Captain America &The Mighty Avengers #1 - For those who wondered about Spider-Man, well you get him back in Axis 5 as the inversion gets analyzed by the top cop Steve Rogers. Meanwhile, Cap & the Mighty Avengers runs concurrent to that issue. I think everyone gets the jist of the good/bad coinflip, however where did Apocalypse find another Ship so fast? I thought that was blown to smithereens. And didn't the inversion spell only just go into effect a day ago? There you go. A serious helping of books. I feel better just reading them... Thanks for reading. Until Next Time, Keep Fantasizing! New Reviews, Musings & Fresh Pastry Links From Daryll B! Get It While It's Hot, Folks! The Great Daryll B. Blogs on a Snow Day! Impressions of The Schomburg Center's 4th Annual Black Comic Book Festival! Daryll B. 's Comic Reviews......The Sequel! As you assume it to find you anything you are producing a guide. Apple HomePod Review: The Dumbest Smart Speaker?